The rims on this 1973 Continental Mark IV look a lot like American Racing wheels, but the blank center cap leaves me wondering. One thing for sure, the tires are Vogues, and I think this is a great combination on this car. The ‘73s had the federally-mandated large front bumper, but still wore a relatively normal-sized one out back. 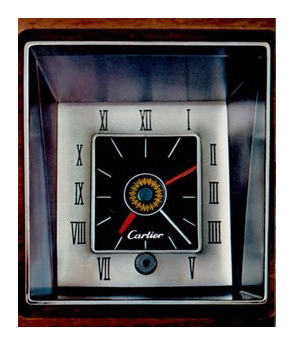 On the dash of the Mark IV’s sumptuous interiors was a Cartier timepiece, signed, as the brochure tells us, by the famous Fifth Avenue jeweler. Saw this one over the weekend in Tonawanda.